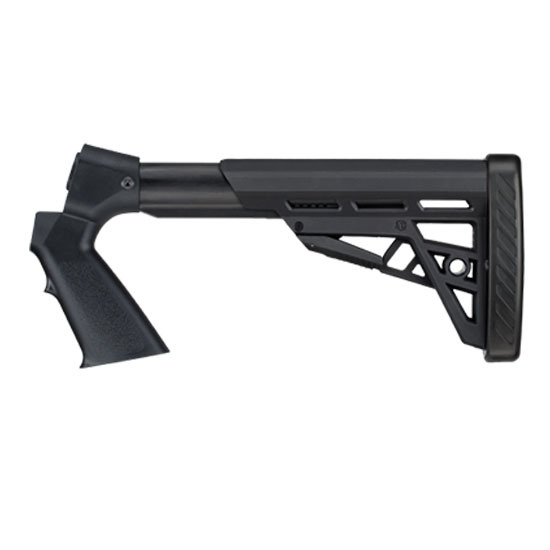 The Shotforce adjustable TactLife shotgun adjustable stock has a pistol grip and a scorpion recoil pad. The TracLOCK system helps eliminate any movement between the stock and buffer tube. It has an aluminum commercial six position buffer tube.